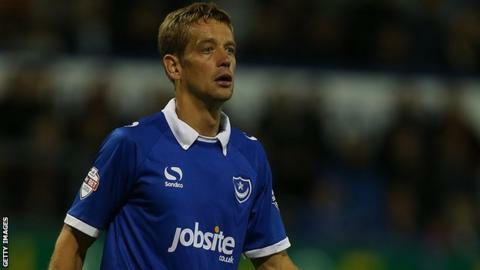 Portsmouth defender Paul Robinson says he would be open to extending his loan spell at Fratton Park. Robinson, 32, has made four appearances for Pompey since arriving on loan - initially for a month - from Millwall at the start of the season. Portsmouth are currently second in League Two having collected 10 points from their opening four matches. "I've enjoyed playing here so it's up to the two clubs to sort out and we'll take it from there," said Robinson. "It's been great," he added to BBC Radio Solent. "The lads, manager and staff have all welcomed me, it's a great club to play for and I've really enjoyed it. "I feel like I'm getting fitter game by game so it's been valuable. It's been between the clubs, I'm here for a month and it's probably getting to that time when something will happen."